Funeral services for Martha Rebecca Anderson Edmonds, 87, of Mount Airy will be held at 2:00 PM, Saturday, February 3, 2018 at Glade Creek Baptist Church. Rev. Michael Justus and Rev. Kevin Edmonds will officiate with interment to follow the service in the Church Cemetery. The Lord Called Mrs. Edmonds to her heavenly home on January 30, 2018 after a brief illness. She was born on December 12, 1930 and was the daughter of the late George Mance and Rebecca Cash Anderson. She was the last surviving member of her immediate family. She was preceded in death by her loving husband Clyde Carroll Edmonds and an infant son. 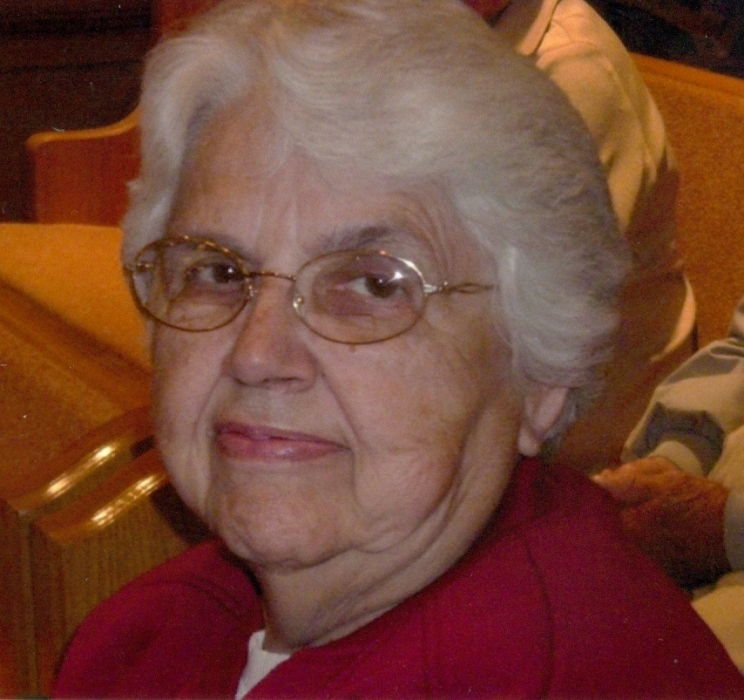 She was a member of Glade Creek Baptist Church where she served in numerous capacities, including church clerk with 35 years of dedicated service. She was a wonderful homemaker and loved working outside in the yard, garden and in her flowers. She was a very loving mother and “Grand Ma” to her children, grandchildren and great grandchildren. She is survived by her daughter and son in law Peggy and Tommy Gunn of Demorest; son and daughter in law Glenn and Janice Tilson Edmonds and son Maurice Edmonds of Mount Airy; sister in law Hazel Anderson; brother in law Jack Edmonds; sister in law Reba and Lloyd Campbell of Winder; grandchildren: Tina and Shannon Smith of Clermont, Kim and Joey Reynolds of Woodstock, Tracy and Matt Newton of Mount Airy, Kevin and Charity Edmonds of Ball Ground, Nathaniel and Jessica Edmonds of Macon, eleven great-grandchildren and several nieces and nephews. The family will receive friends at the funeral home on Friday, February 2, 2018 from 5:00 PM until 8:00 PM. In lieu of flowers, the family request donations be made to the Glade Creek Baptist Church Cemetery Fund. An online guest registry is available at www.hillsidememorialchapel.com.